Using coupon codes to offer discounts for your products or services is a great way to promote and increase sales. 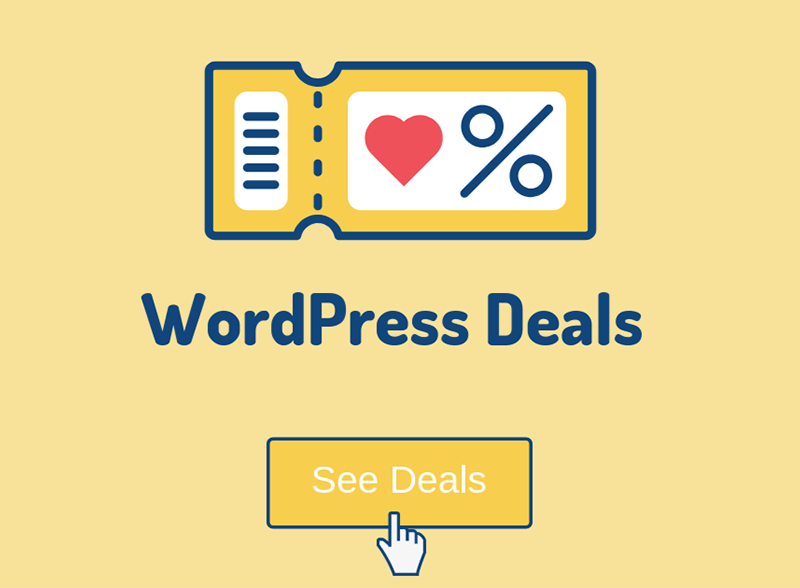 So, if you have a shop on your WordPress website, you’ll definitely want to take advantage of coupons. 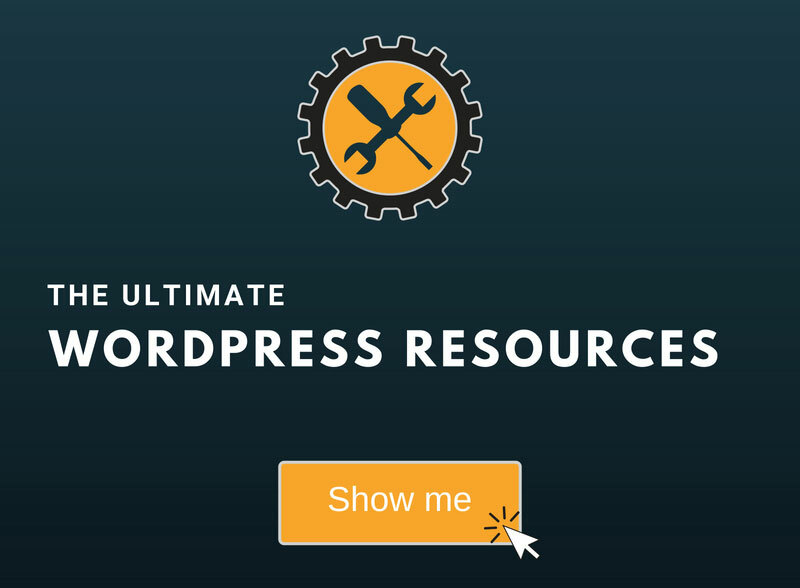 WooCommerce is the most used eCommerce plugin for WordPress, and a lot of eCommerce WordPress themes are based on it. 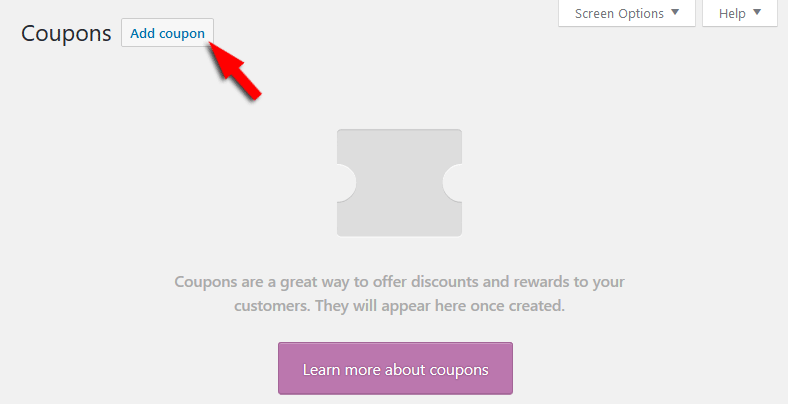 Therefore, in this post, I’ll show you, step by step, how to set up coupon codes in WooCommerce. 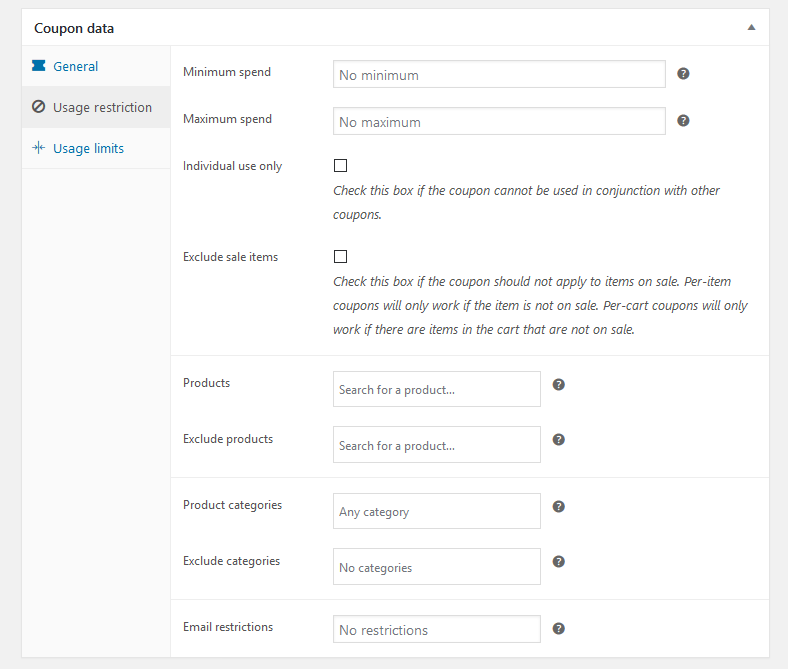 First, you’ll need to enable the use of coupons by going to WooCommerce -> Settings -> General. Once you’ve enabled them, go to WooCommerce -> Coupons, where you’ll create and manage them. So let’s go ahead and create our first coupon by clicking on the Add coupon button at the top. In the first part, you’ll have to add the Coupon code (e.g. Julysale) and a Description (e.g. Discount for shoes), which is optional and it will only be visible by you in the back-end. It’s useful to add a description, so you won’t forget what were the coupons created for, especially if you’re planning to use a lot. In the second part, you have to set up the Coupon data. Fixed product discount – Applies a fixed amount of discount (e.g. 20$) per product. For example, if a customer adds a pair of jeans and a t-shirt to the cart, but only the t-shirt has a coupon created, the coupon will only apply to that t-shirt. Coupon amount – Enter the fixed or percentage value of the coupon (e.g. 20). You don’t need to add a percentage sign (%) or currency symbol ($). It will be added automatically by the plugin. Allow free shipping – Check it if the coupon also grants free shipping. A free shipping method must be enabled for this. I’m missing that option from my screenshot because our site only offers services, not products that need to be shipped. Coupon expiry date – Enter a date when you want to coupon to expire, so the clients can no longer use it. Make sure you have the proper Time Zone set in Settings -> General -> Timezone. Minimum spend – Sets the minimum amount (subtotal + taxes) that the customers need to add to the cart in order to use the coupon. For example, the customer’s cart must have at least 100$ worth of products in order to apply the coupon. Maximum spend – Same as above, except you set the maximum amount. Individual use only and Exclude sale items are already clearly explained. Products – Select the products that the coupon will be applied to. Exclude products – Select the products that the coupon will not be applied to. Product categories and Exclude categories work in the same way as the “Products” and “Exclude products” options, except that it applies to categories. Email restrictions – Email addresses that are allowed to use the coupon. They’re verified based on the clients’ billing email. Usage limits per coupon – Set the number of times a coupon can be used before becoming invalid. Limit usage to X times – The maximum number of items this coupon can apply to. This option is only available if you’re creating a Product Discount coupon. Usage limit per user – Set the number of times a coupon can be used by an individual customer before becoming invalid. The guest customers are verified by checking their billing emails, and the logged in users by checking their user IDs. After you’ve set everything the way you wanted, click the Publish button to activate the coupon.